I have to admit it, when it comes to books, I've had my own head deep into my own work, so I haven't been paying too much attention to what is scheduled to come out in the coming year, or is hoped to come out this year. I went and did a cursory look at the various "Can't Wait" or "Highlight Anticipated" lists, and most of the top things listed are books 3, 4 or more of series that I haven't read yet. I am looking forward to reading The Thorn of Emberlain when it comes out, though. 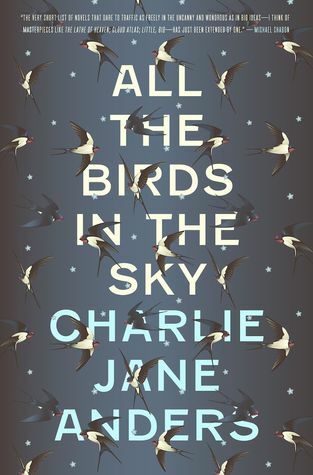 One book in the coming year that is on my radar is Charlie Jane Anders's All The Birds In The Sky. 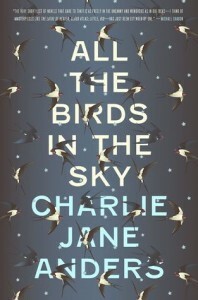 I've been a fan of Charlie's work as the editor of io9, and she's getting tons of good buzz, so this looks like a book to check out. In other media, well, I'm an absolute sucker for just about anything superhero related, and next year is delivering plenty for me along those lines: Legends of Tomorrow, Batman v. Superman, Captain America: Civil War, Daredevil Season 2... and that's just getting us up to April. And that will be the sort of thing that will help keep my creative brain energized in the months to come. Which, believe me, friends: I'm going to need. Hope your new year is joyous. See you in 2016.